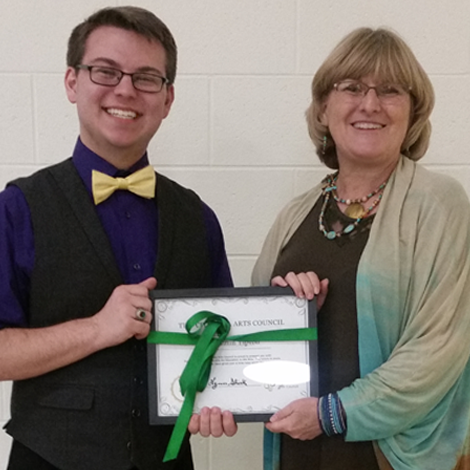 The Tipp City Area Arts Council proudly announces the availability of the TCAAC Arts Scholarship Awards. attach an official high school transcript and test scores. The TCAAC Arts Scholarship will be awarded at the Senior Awards Ceremony at the respective schools. Completed applications must be received by April 1st of the student's graduation year. Application materials may be returned to the Guidance Office of the respective school or materials may be mailed to Tipp City Area Arts Council, PO Box 74, Tipp City, Ohio 45371. Click below to download the TCAAC Arts Scholarship Application. Congratulations to Bekah Shininger! Bekah is a 2017 graduate of Tippecanoe High School and is the recipient of the 2017 Tipp City Area Arts Council Scholarship. 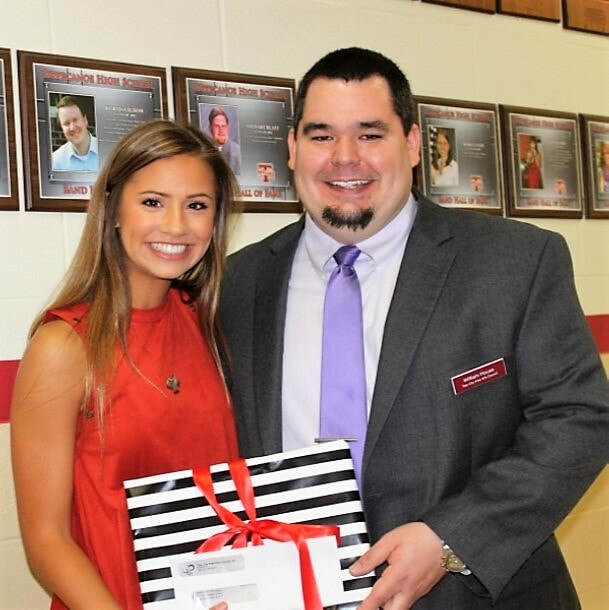 William House, TCAAC President, presented Bekah with her $500 scholarship award.